What happens when your high school nemesis becomes the shining star in a universe you pretty much saved? Book blogger Kimberly Long is about to ﬁnd out. A chick lit enthusiast since the first time she read Bridget Jones’s Diary, Kim, with her blog, Pastel is the New Black, has worked tirelessly by night to keep the genre alive, and help squash the claim that “chick lit is dead” once and for all. Not bad for a woman who by day ekes out a meager living as a pretty, and pretty-much-nameless, legal secretary in a Manhattan law ﬁrm. While Kim’s day job holds no passion for her, the handsome (and shaving challenged) associate down the hall is another story. Yet another story is that Hannah Marshak, one of her most hated high school classmates, has now popped onto the chick lit scene with a hot new book that’s turning heads—and pages—across the land. It’s also popped into Kim’s inbox—for review. With their ten-year reunion drawing near, Kim’s coming close to combustion over the hype about Hannah’s book. And as everyone around her seems to be moving on and up, she begins to question whether being a “blogger girl” makes the grade in her offline life. It's been a while since I've read any chick lit and to be honest I have been craving it for a few weeks. 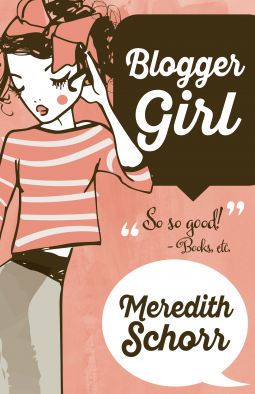 So as soon as I got a copy of Blogger Girl I instantly dived into it. The title had me instantly interested and the cover was as equally curious, and I for one, couldn't wait to see what it was all about. Kim Long is a legal secretary by day and popular book blogger by night (and also day). Ever since she first read Bridget Jone's Diary Kim has been a Chick Lit enthusiast, who's Blog, Pastel is the New Black is keeping the genre alive. While her job doesn't give her any passion, her blog and her crush on Nicholas, a handsome attorney does. However, when Kim finds out that Hannah Marshak her high school bully is releasing a chick lit novel and has been asked to review it. Add this to her ten year high school reunion, her new relationship and her conflicted feelings about Hannah's book and Kim starts to question wether she can really just be a blogger girl. This book was absolutely up my street. A book about a book blogger? Yes please! As a book blogger myself I found myself instantly drawn to Kim because of our similar interest and passion in books. Also, Meredith must have a lot of knowledge of book blogging as everything that a book blogger does was included such as - reviews, blog tours, ARC's and emails from publishers. It was also great to get snippets of Kim's reviews within the book. This made it instantly relatable and it was almost as if I was in my dream world. Despite this, I felt like there was a lack of main plot throughout the story. I found all the sub plots such as Kim's relationship, her dilemma with Hannah and her problems in the workplace to be rather likeable but I found myself becoming rather confused at what the main plot point was meant to be? I feel that if these sub plots had come together then maybe I wouldn't have been as puzzled as I was. There was also a little bit unrealism, especially when it came to Kim blogging during her work hours. In the real world what kind of boss would let their employee do that? I know this is fiction and things can be unrealistic if they want but with this style of novel I don't think that should be the case. Kim was a character that you would love one moment and dislike the next. I enjoyed her passion for books and her blog. Her fierce friendship with Bridget was also something that was fun to read. On the other hand I also found her to be quite demanding and at times I felt like she was trying too hard. At one point in the story she is asked to get coffee by her boss and she throws a tantrum. She is paid to run errands for him and it felt to me like she was trying to overthrow him. The other characters we meet throughout all seemed pretty one dimensional to me. We didn't really learn much about them and I would've loved to have seen some more character development especially with Bridget, Jonathan and Rob. The only exception to this was Nicholas who I really enjoyed finding more about. Some things about him were pretty shocking to read about and not what I was expecting. Overall Blogger Girl was a short easy read which is what most people want from a chick lit. The fact that it was about a book blogger was the most interesting part for me as well as the sub plot of Kim battling to control her feelings about Hannah's book. What would have made it better however, would be if the characters were more fleshed out and the plot was slightly more realistic. A born and bred New Yorker, Meredith Schorr discovered her passion for writing when she began to enjoy drafting work-related emails way more than she was probably supposed to. 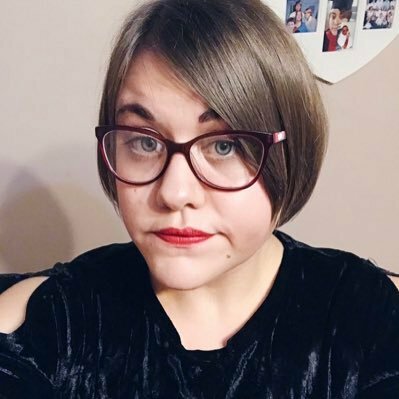 After trying her hand penning children’s stories and blogging her personal experiences, Meredith found her calling writing chick lit and contemporary women’s fiction. She secures much inspiration from her day job as a hard-working trademark paralegal and her still single (but looking) status. 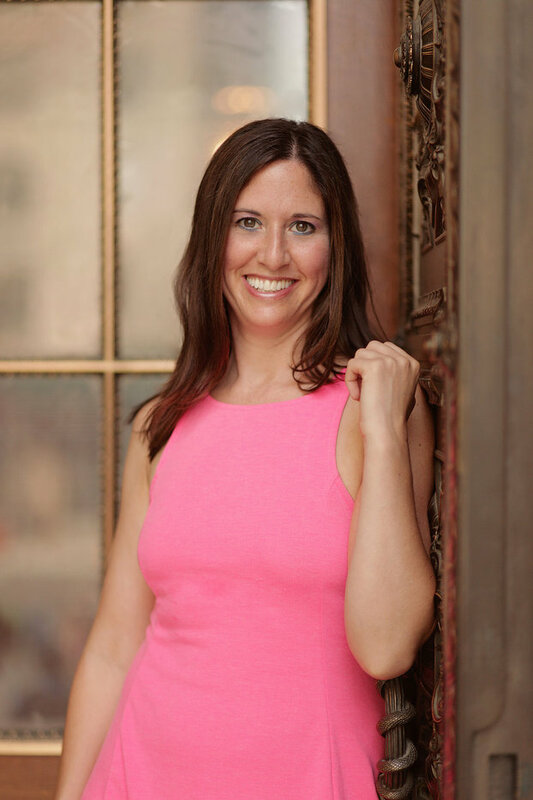 Meredith is also the co-founder of BookBuzz, a live author/reader event held annually. She is a loyal New York Yankees fan and an avid runner.